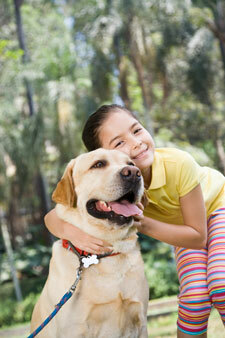 Animal adjusting is the practice of spinal manipulation or manual therapy for animals. Benefits include enhanced performance, decreased pain, restoration of motion and function, and improved quality of life. It can be performed with hands or by an adjusting instrument. What animals can be adjusted? Cat, dog, horse, bird or any animal with a spine! VOM™ aka Veterinary Orthopedic Manipulation is a healing technology that locates areas of the animal’s nervous system that have fallen out of communication, and re-establishes neuronal communication and thus induces healing. VOM™ is singularly the most simple, effective and safe healing modality in veterinary care to date. For the VOM™ practitioner it is an exquisitely objective, fast and easy to apply technology that takes a minimum amount of time to master and whose scope of application appears has yet to be fully appreciated. VOM™ exists in a gray area between veterinary medicine and chiropractic and benefits from the positive aspects of both, a hybrid, and is thus more effective than either by themselves. It is more specifically classified in the state of Florida as “Animal Adjusting.” Practitioners who are not Licensed Veterinarians are classified as veterinary technicians in the state of Florida. Non-veterinary C.V.C.P.’s (Certified Veterinary Chiropractitioners) must have a written affiliation with a Licensed Florida Veterinarian and/or be in the presence of one. Dr. Nedd is available at our office to treat small animals as long as your pet has been seen by a licensed Veterinarian first and the “Animal Adjusting Veterinary Affiliation” form is filled out with your local veterinarian’s signature to authorize care here. You can download a copy from the Online Forms page. Dr. Nedd has also successfully helped horses and is available on weekends to assist at local stables! Dr. Nedd became a Certified Veterinary Chiropractitioner accredited by the International Association of Veterinary Chiropractitioners in April 2003. The cold laser is an outstanding complement to Animal Adjusting. In fact, Dr. Nedd combines cold laser therapy and Animal Adjusting on all animal treatments because of the safety and high success rate of the two therapies combined. Cold laser therapy for animals is outstanding for many conditions including arthritis, lameness, disc conditions, pre- and post-surgical healing, acute pain, allergies, fracture, and canine hip dysplasia syndrome. Your pet deserves to live a healthy, happy life. Call us at (727) 467-0775 to book your appointment.